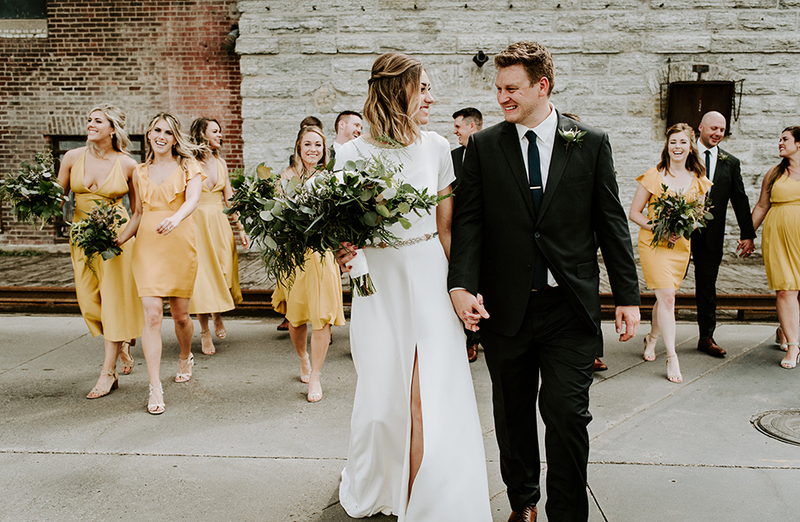 Carly Czajka and Chris Larsen, who met at a New Year’s party in 2012, wanted a wedding that felt modern, minimal and chic. 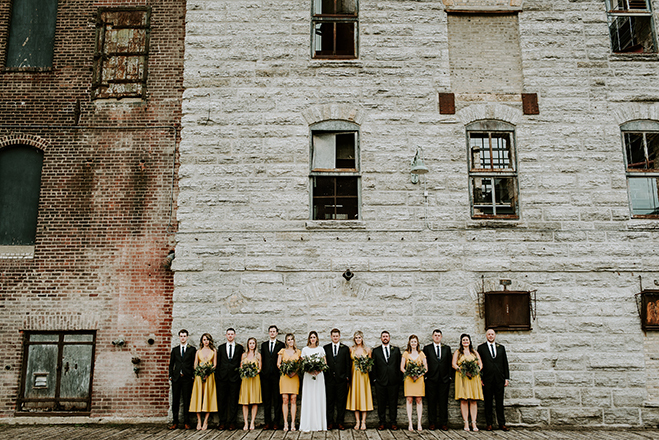 They found the right fit when they looked at the Mill City Museum. 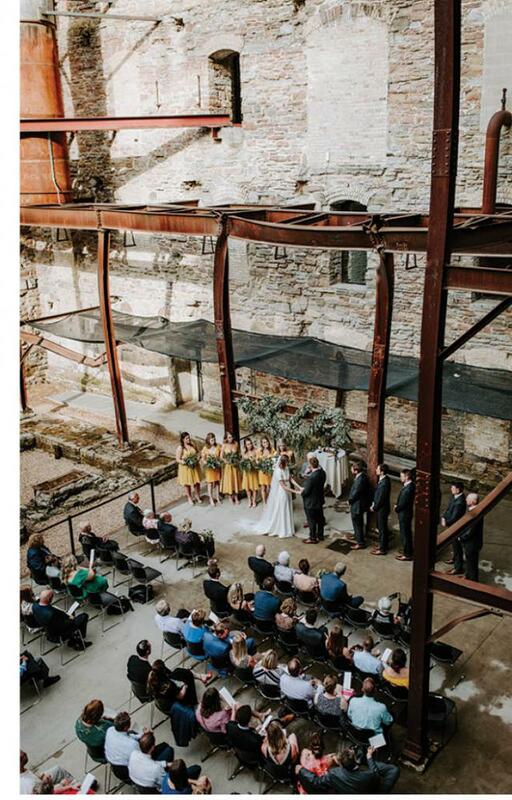 “The second I walked into Mill City Museum, I knew it was the perfect venue for us. 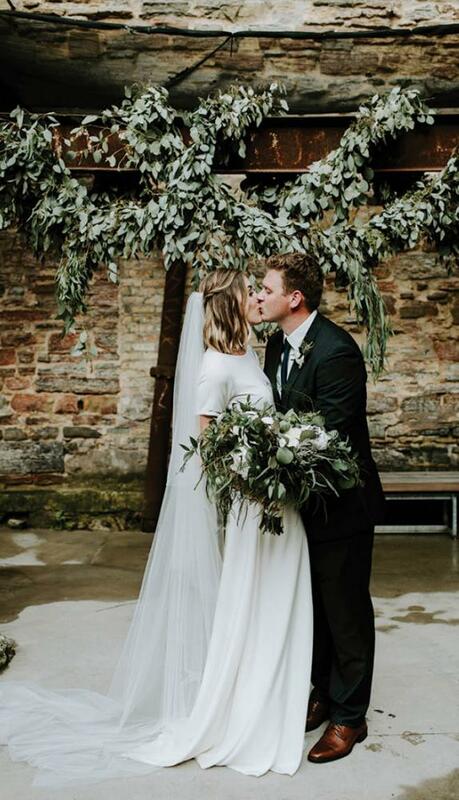 We actually didn’t look at any others! 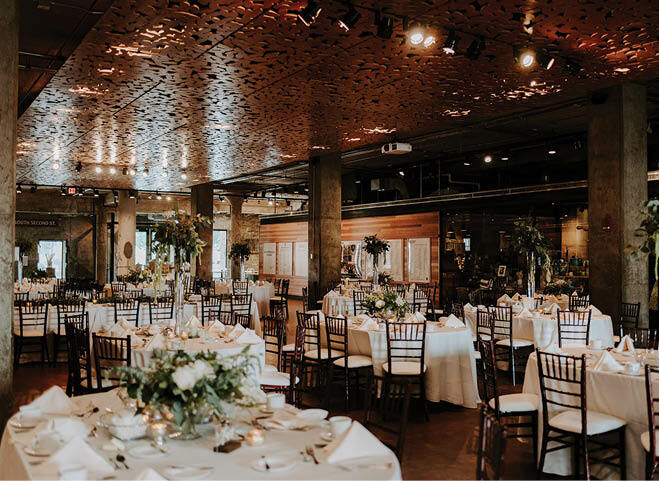 Chris liked the industrial and historical parts of the venue, and I really liked the modernity of the bricks and glass against each other,” Carly says. 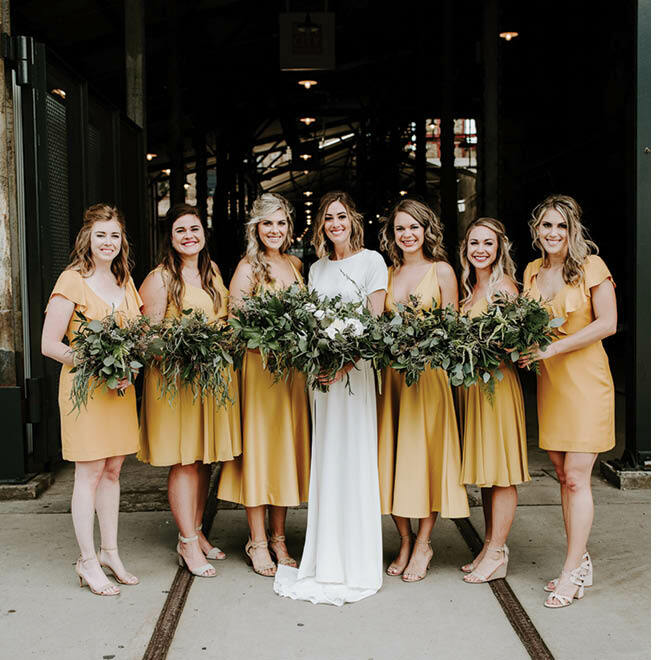 “It was the perfect place to celebrate the marriage of our different personalities.” For décor, her goal was to juxtapose the modern venue with the natural vibe of the florals, using a loose and wild aesthetic. 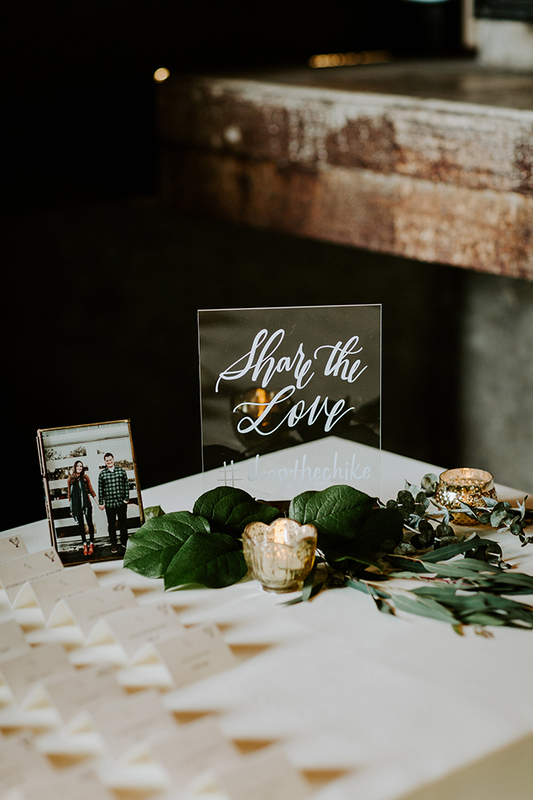 Everything was as beautiful as they'd dreamed, but the couple’s favorite part of the day was behind the scenes, when they read aloud the letters they wrote to each other.